Who doesn’t lovefree stuff right? That’s why the people behind House Party are brilliant! They’ve figured out a way to help companies market to their target audiences and let consumers have fun! According to their website, A House Party™ is thousands of parties across the country be people like well, me – and yes, you. Each event is sponsored by a leading brand and focuses on something cool that the sponsor wants its best fans to experience firsthand and share with their friends. 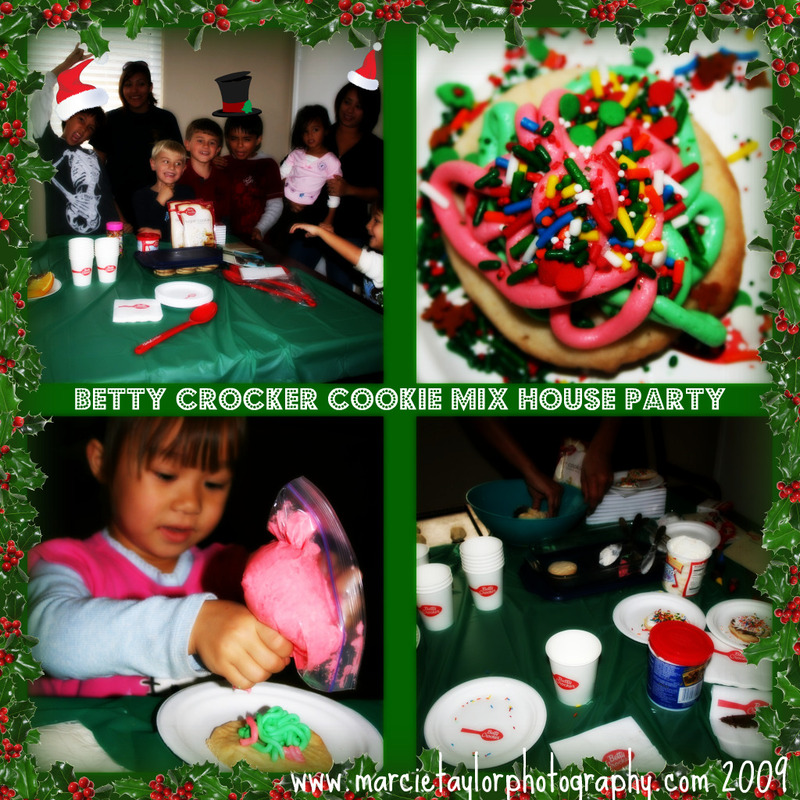 Last week I hosted a Betty Crocker Cookie Mix (or in my case, Cookie Decorating) Party. Weeks earlier I received my House Party kit with these awesome goodies – 2 Betty Crocker cookie mix pouches, Betty Crocker™ napkins, cups, plates, 15 red spoons, 15 grocery list pads, an apron, a Christmas Cookies Magazine, recipe booklet with coupons, $15 cash card for additional baking items needed (I used mine to buy sprinkles and frosting). A great time was had by all, we ended up just making sugar cookies and having the kids decorate them. Naturally they were all sugared-up so they had to go out and run around which was good because that way me and my mommy friends got to catch up some – isn’t that what a good party is about? Good food, good company. And now it’s on to more holiday baking….